Thank You for Helping Us Reach Our Goal of One Million Medals! As you know from your faithful membership in our Lady’s Association, tens of millions of medals were distributed in the first eight years of production alone, and countless millions more have been propagated since! This past Lent, the Association invited you and all her members to join together in giving our Blessed Mother a special birthday present. 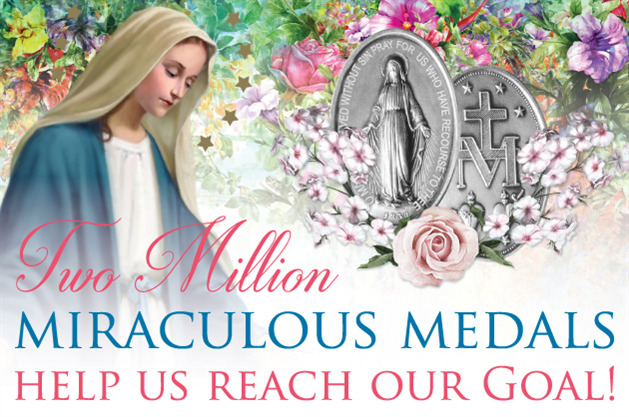 We challenged one another to give out a total of one million Miraculous Medals before Mary’s birthday on September 8. Well CONGRATULATIONS and THANK YOU! 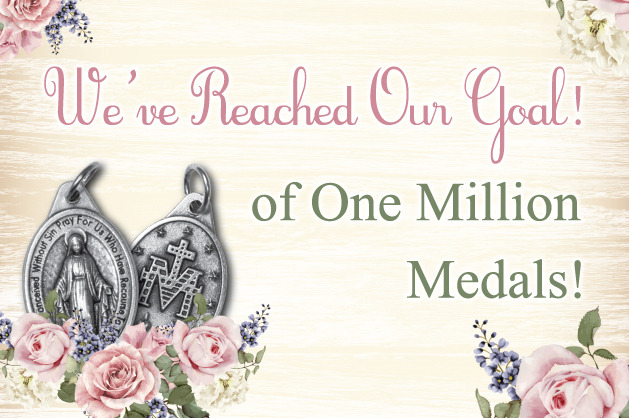 Not only did we meet our goal, but because of your help, we surpassed it with a total distribution of 1,730,305 medals. What a wonderful birthday gift we were able to present to our Blessed Mother!